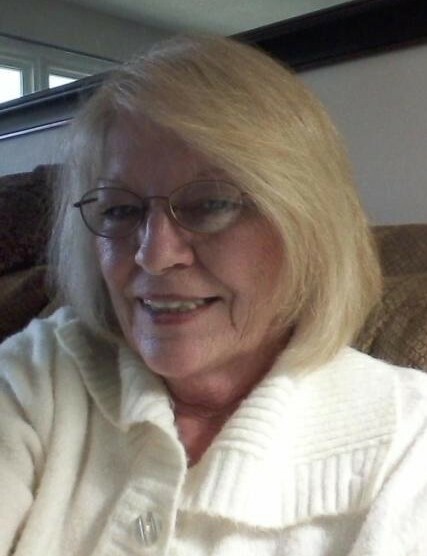 Deanna Wheeler, age 66 of LaFollette, departed this life on Friday, February 1, 2019 at her residence. She was born March 31, 1952 in Lake City, Tennessee to the late Arlie and Glennis Silcox Brock. Deanna loved spending time with family and friends especially spoiling all of her grandchildren and great grandchildren. She loved watching the Lifetime Channel. Deanna was full of life and could make anyone laugh or smile at any given time. Her personality was so loving and bubbly. In addition to her parents, she is preceded in death by son, Jeremy Nabors; brothers, Leroy, Bill, and Arlie Brock Jr.; sister, Loretta Jacobs; nephews, Ray Massengill and William Brock; niece, Dawn Brock. Deanna is survived by her loving husband of 42 years, Ray Wheeler of LaFollette; son, Jason Nabors and wife, Melissa of San Diego, California; daughter, Barbara Hardes of Warner Robbins, Georgia; brothers, Leonard Brock and wife, Patsy of LaFollette and Tim Brock and Tammy of Jacksboro; sisters, Betty Crowley, Debra Chitwood, and Jewel Leach, all of LaFollette; grandchildren, Deanna, Brandon, Jeremy, Serena, Andy, Aaron, and Nicole; great grandchildren, Aliyah, Karlie, Kambrey, and Kyler; and host of other relatives and friends to mourn her passing. Visitation for Deanna will be Wednesday, February 6, 2019 in the chapel of Martin Wilson Funeral Home from 5:00 to 7:00 PM with her funeral service to follow at 7:00 PM with Rev. Dusty Brock officiating. Family and friends will meet at 10:15 AM on Thursday, February 7, 2019 at Martin Wilson Funeral Home to go in funeral procession to Jacksboro Cemetery for an 11:00 AM interment.